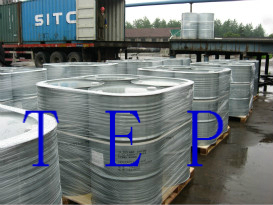 Triethyl phosphate tep Price - ZhangJia Gang YaRui Chemical Co., Ltd.
Our company's Triethyl phosphate TEP price according to three phosphorus oxychloride and methanol prices of raw materials and the adjustment of price changes, at any time, if there is a need to understand the price further, please contact us. Export authority: the company the right to import and export. If Triethyl phosphate tep Price product is not what you want, we can be customized according to your needs, please send us your order to Email: sales@yaruichem.com , or click here to post your buying lead.